Force and Mass are interconnected in this simplified equation. Using online calculators and Wolfram Alpha my class has explored numerous variations of manipulating mass and force to reach greater velocity and distance. This has lead to an exciting line of experiments that have spanned several school years. Our study begins here...with competition grade ping pong balls. 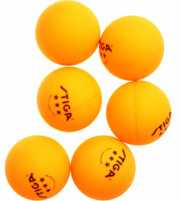 These are approximately 40mm in diameter, .04g orange ping pong balls. Students learn quickly that air resistance is a major factor, and the ping pong balls at best will fly about 60-70ft at 20psi. Not too impressive! The first variation (variable) is the changing of the ping pong ball mass. This can be accomplished several ways. We have used water (then frozen) and we have filled with sand. Both methods result in a new mass of approximately 20g. 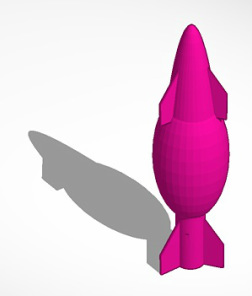 This projectile has greater mass and significant range increase from 60-70ft to approximately 200-300ft. 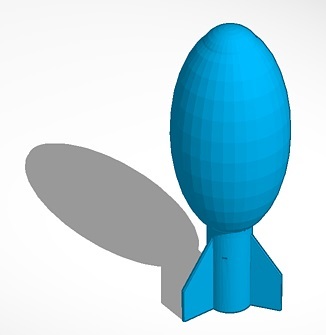 In this version the use of Tinkercad and our classroom 3d printer were used to create this projectile. 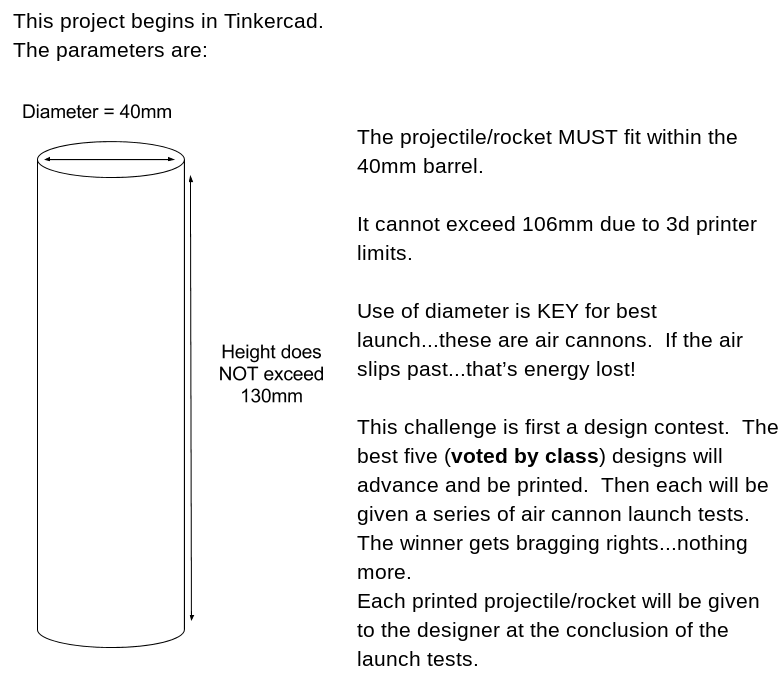 During 2012-2013 students, with some guidance, worked to design a projectile that retained the same diameter as a ping pong ball but incorporated additional features. 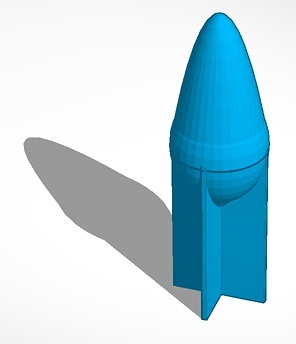 The most notable feature addition is the fins at the bottom of this projectile. After discussion aerodynamics the students determined that a sphere will not fly straight and after many tests students noted a spiral effect as the air resistance slowed the ball. During the fall of 2013 tests showed a significant gain in performance over the spherical ping pong ball. 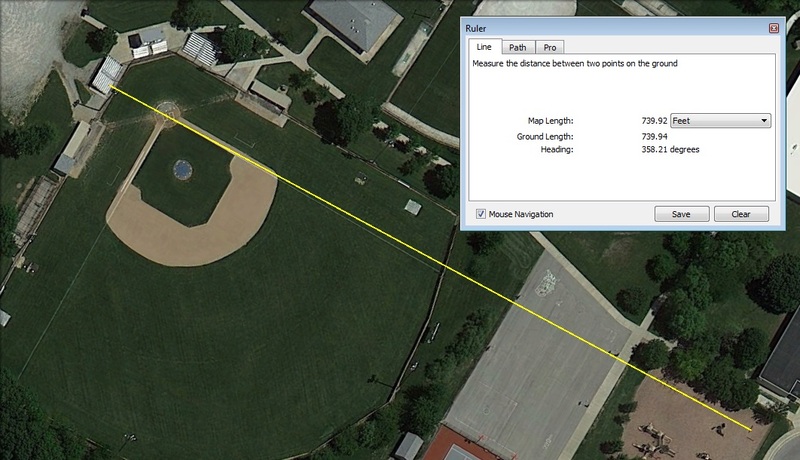 With additional weight added this variation was recorded at 508ft using 75psi. 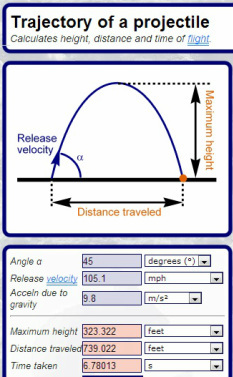 In this variation students during the fall of 2013 decided that for increased stability during flight that the projectile needed forward and rear fins. This proved problematic with weight distribution. All tests with this projectile resulted in a cart-wheeling projectile that barely reached 100ft. All accounts from students deemed this variation an epic failure...although it has a certain style in it's design. This 4th variation was a total break from design from all previous models. 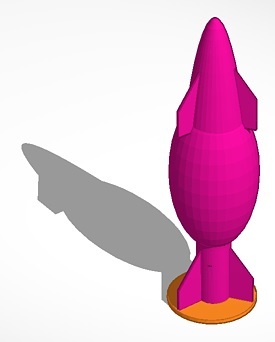 Starting from scratch, the class and I (during fall 2013) designed this projectile starting from the bottom up. This proved a fantastic model for discussion airflow and the use of longer fins for additional stability. This however nearly proved fatal for the design due to the increased weight towards the rear. This was offset by adding weight to the nose. The additional weight changed the balance such that this projectile was now heavier in the nose. This flight using the same 75 psi resulted in an incredible increase in distance. 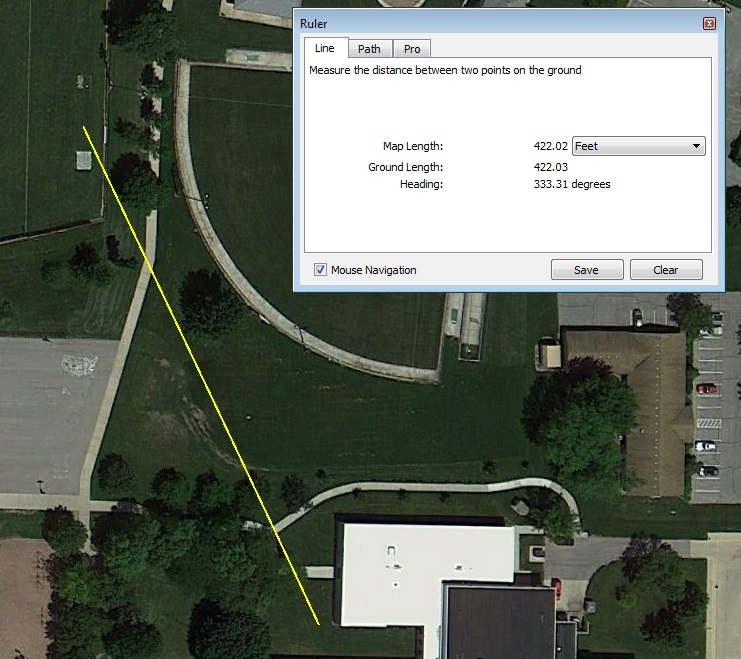 The class goal was 500 ft. 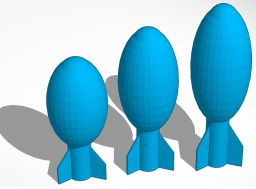 Variation 4 with the additional nose weight reached 740 ft.
Variations in height/length will affect flight distance. Using the Hot Wheels Video Racer Micro Camera Car we constructed a cylindrical housing that fit the barrel of the air cannon and would hold the camera car secure. This camera holds approximately 12 minuntes of video...more than enough to video a launch and flight! Check out the video from our camera launches! !